The Cookie Cutter tool in Photoshop Elements is a powerful tool. You can think of it as a Custom Shape tool for images. But, whereas the Custom Shape tool creates a mask and hides everything outside the shape, the Cookie Cutter cuts away everything outside the shape. The preset libraries offer you a large variety of interesting shapes, from talk bubbles to Swiss cheese. Choose the Cookie Cutter tool from the Tools panel. There’s no missing it; it looks like a star. You can also press the Q key. Specify your options on the Options bar. Cookie Cutter tool settings on the Options bar. Shape: Choose a shape from the preset library. To load other libraries, click the panel pop-up menu and choose one from the submenu. Unconstrained: Enables you to draw freely. Defined Proportions: Enables you to keep the height and width proportional. 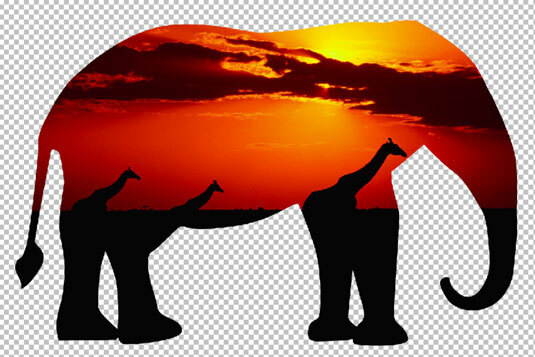 Defined Size: Crops the image to the original, fixed size of the shape you choose. You can’t make it bigger or smaller. Fixed Size: Allows you to enter your desired width and height. From Center: Allows you to draw the shape from the center outward. Feather: This option creates a soft-edged selection. Crop: Click this option to crop the image into the shape. The shape will fill the image window. Drag your mouse on the image to create your desired shape, size the shape by dragging one of the handles of the bounding box, and position the shape by placing the mouse cursor inside the box and dragging. You can also perform other types of transformations, such as rotating and skewing. Click the Commit button on the Options bar or press Enter to finish the cutout. If you want to bail out of the bounding box and not cut out, you can always click the Cancel button on the Options bar or press Esc. Crop your photo into interesting shapes with the Cookie Cutter.